The toe rod is responsible for maintaining toe settings of the the rear wheels similar to tie rod ends on the front end. This ensures that the wheels remain set to a fixed position, not erratically pointing inward or outward under loading. The factory rods are made from flimsy stamped steel and use soft rubber bushings at the mounting points. Under load, deflection can cause poor launch stability, inconsistent handling and decreased braking ability. 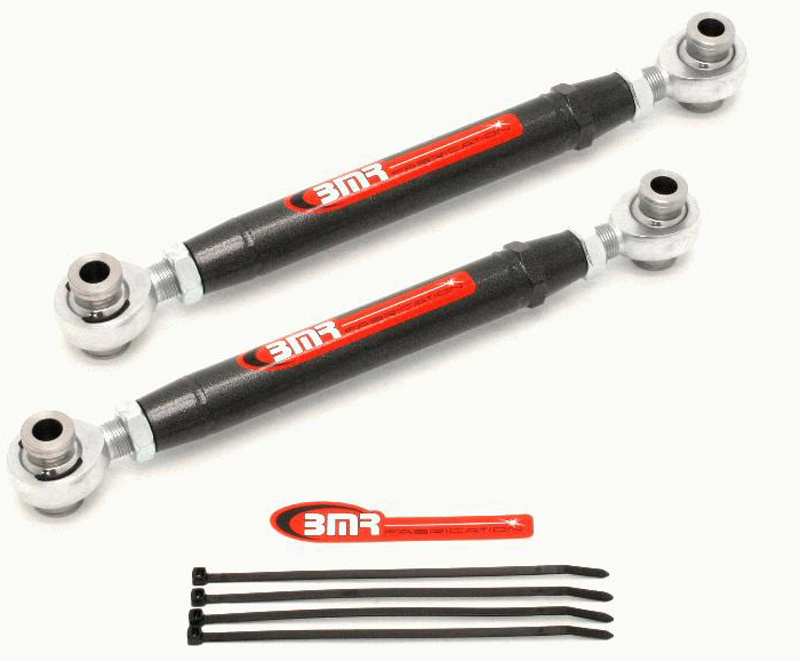 BMR Suspension Upgrades available at ModBargains.com! 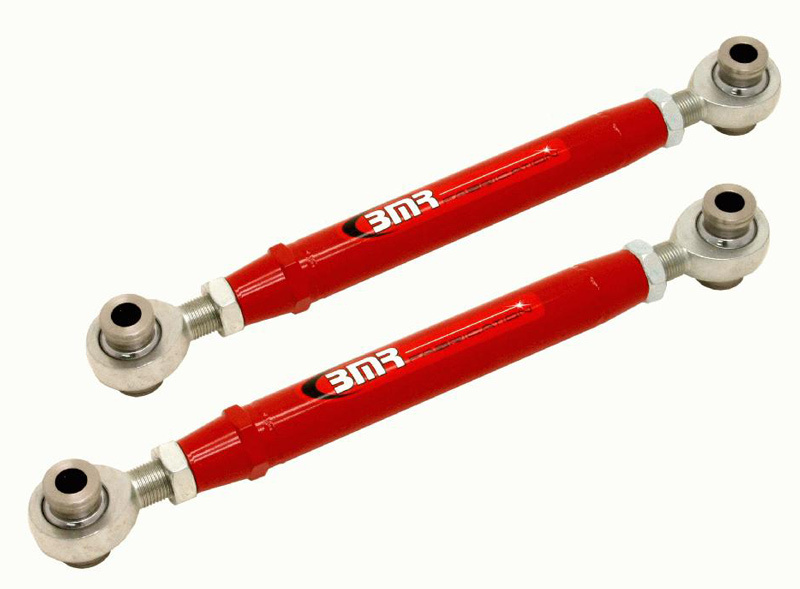 For further adjustability than offered in the OE design, BMR offers Toe Rods manufactured from 1.25" heavy duty DOM tubing and both are double-adjustable, meaning you don't have to remove them to make adjustments- they can be adjusted on the car. The polyurethane version uses our heavy duty 3/4" chrome moly double adjuster while the rod end version uses QA1's XR series chrome moly, Teflon-lined rod ends. Installs easily and do not degrade ride quality. This BMR Suspension upgrade is available in your choice of red powdercoat or black hammertone finish. Interested in ordering some BMR Suspension Upgrades for your Camaro? Call ModBargains at 714-582-3330 to make an order today!